Great leggings. Good fit and true to size. I bought a these for ballet class, but I had to order an extra pair of these, because I just love the feel in these. Extremely comfy while keeps you nice and warm on cold days worn under normal clothes. Really good quality and excellent service. Thank you! Really good fit and comfortable too. I had to order these for a photo shoot and they are excellent quality and colour perfect. The comfort of the leggings was good as well even the larger size. 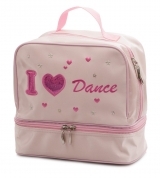 Ideal for all types of dance, shows, gymnastics, warming up, fitness, fancy dress and lots of other occasions!